These cookies would normally be a treat to share. They're delicious, of course, but they weren't mean to debut until later this week. I had to adjust this week's lineup due to the unexpected shut down of my macbook. I spilled a cup of water onto it yesterday morning, and it's been out of commission since. As my family and friends can imagine, I'm in a state over it, so I won't go on about the incident, but these cookies are subbing in for the peanut butter cheesecake brownies I had promised you. Those pictures are hopefully safe and sound on my *sleeping* laptop. 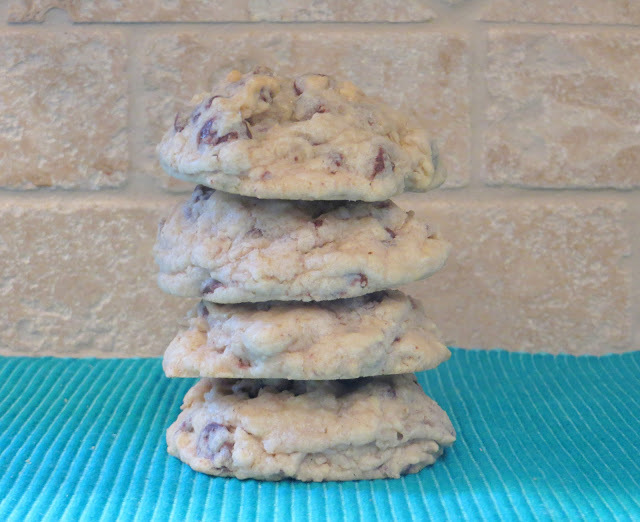 I'm fairly accepting of most cookies (except dry cumbly ones- bleh), but oatmeal raisin normally get passed over. I think that this is pretty common when provided with a choice of cookie. I'm not sure if it's the raisins or the oatmeal that deter people, but I fall on the side of "chocolate makes everything better, so why grab a cookie sans chocolate?" These chocolate chip oatmeal cookies are chewy, thick, and chocolately. This recipe comes from another one of my favorite food bloggers, Jessica at How Sweet It is. I have experiemented with countless oatmeal cookie recipes (not quite as many my best chocolate chip cookie quest), and this really is the best. I wish you could see the melted chocolate goodness trapped inside that mound of cookie heaven. Don't you want a bite? poor sister. We shall continue to let your computer sleep and get it's beauty rest until it decides to wake up again. were your peanut butter cheesecake brownie pictures on your laptop? Sending well wishes to your MacBook! Love you!